Stop caring what people think. 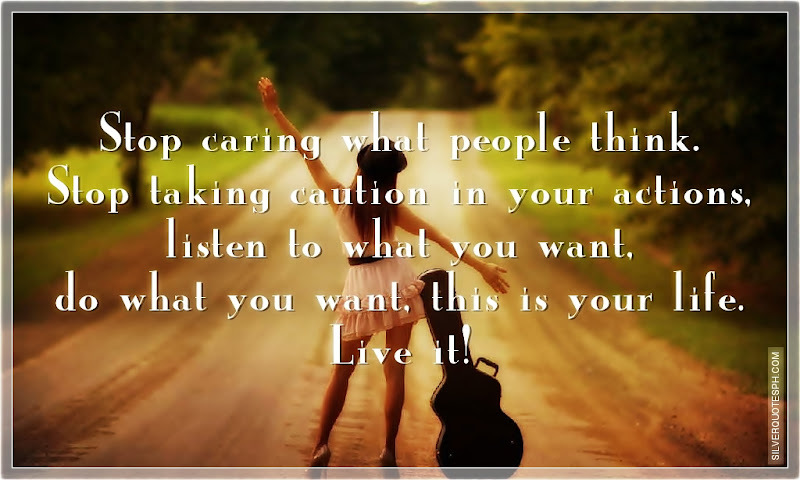 Stop taking caution in your actions, listen to what you want, do what you want, this is your life. Live it!